Nice translucent rusty brown colored multi-directional sputnik Aragonite Natural Crystal from Morocco. 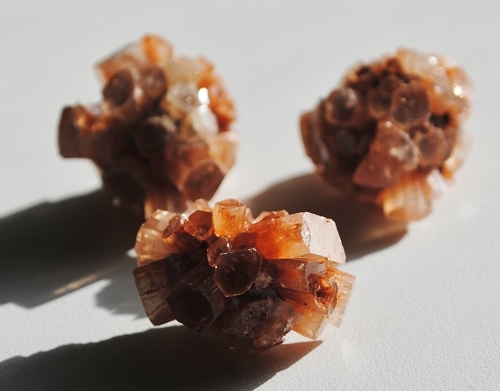 Aragonite is a reliable earth healer and grounding stone, calming and centering. 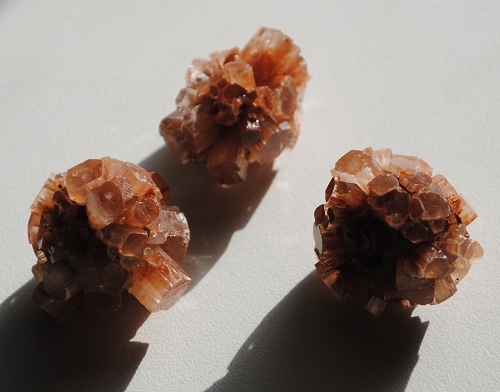 Aragonite restores balance and prepares one for meditation by raising vibrations to a higher spiritual level and grounds energy into the physical world. 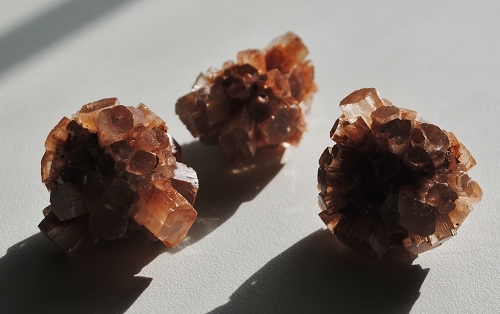 Aragonite stabilizes the base and the earth chakras. In healing, Aragonite ameliorates pain, stops night twitches and muscle spasms, strengthens the immune system and regulates "speedy" processes.